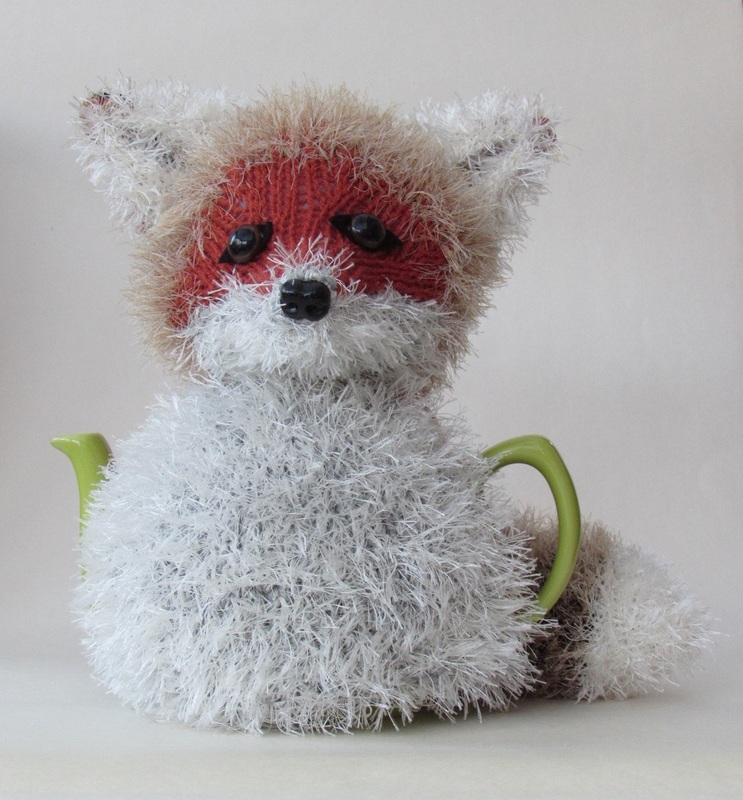 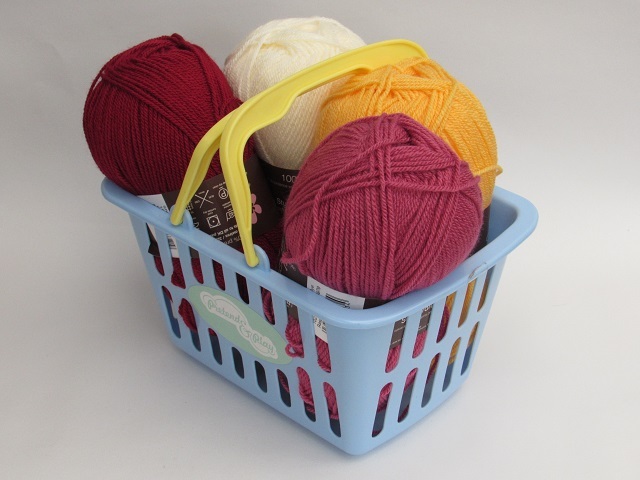 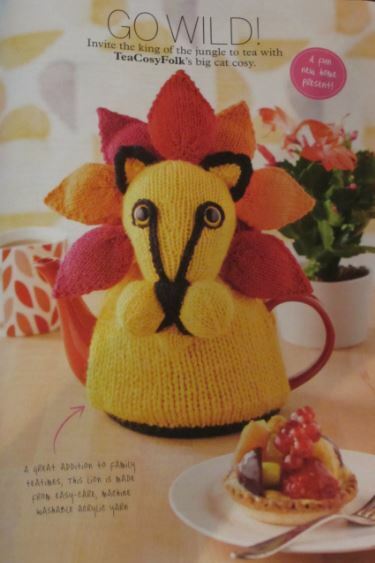 The lion tea cosy was designed for the Simply Knitting Magazine issue 143 which went on sale on the 29th January 2016. 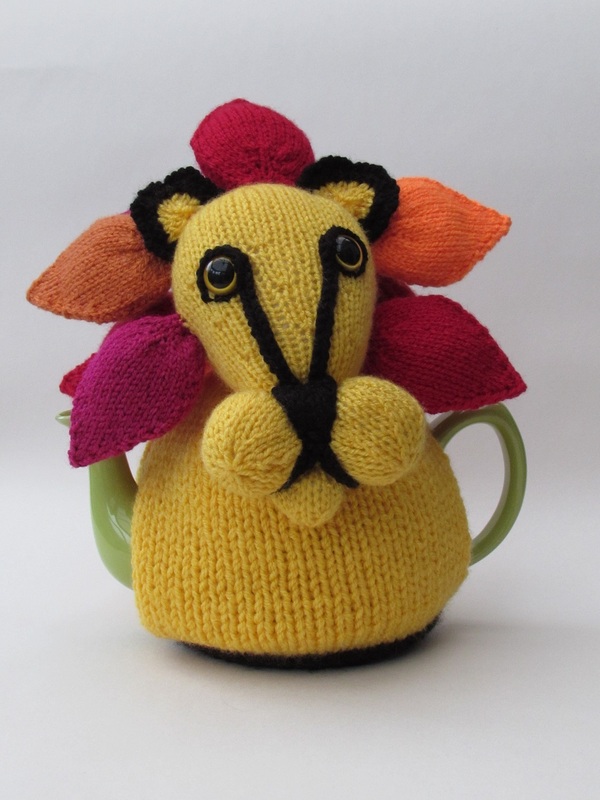 The lion tea cosy is based loosely on old African Tingatinga art; a stylised art form that extenuates the features of African animals, with a blast of bright colours. 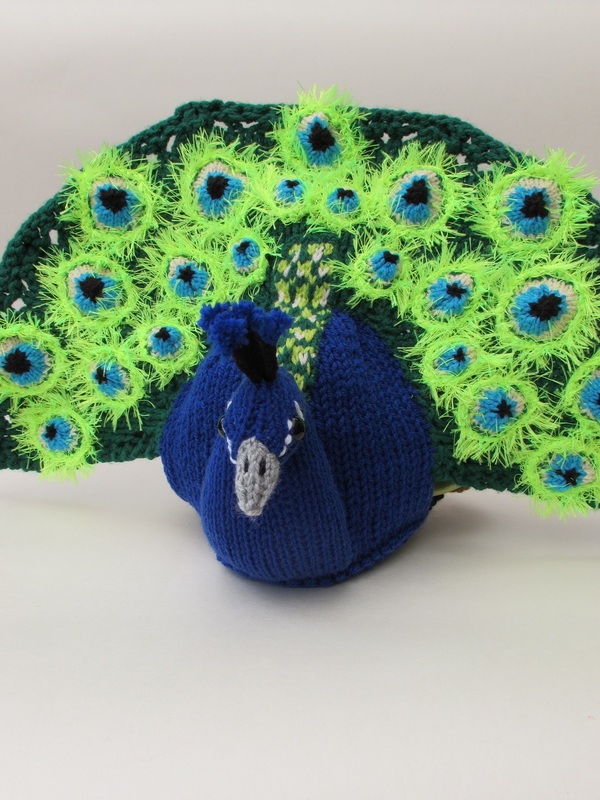 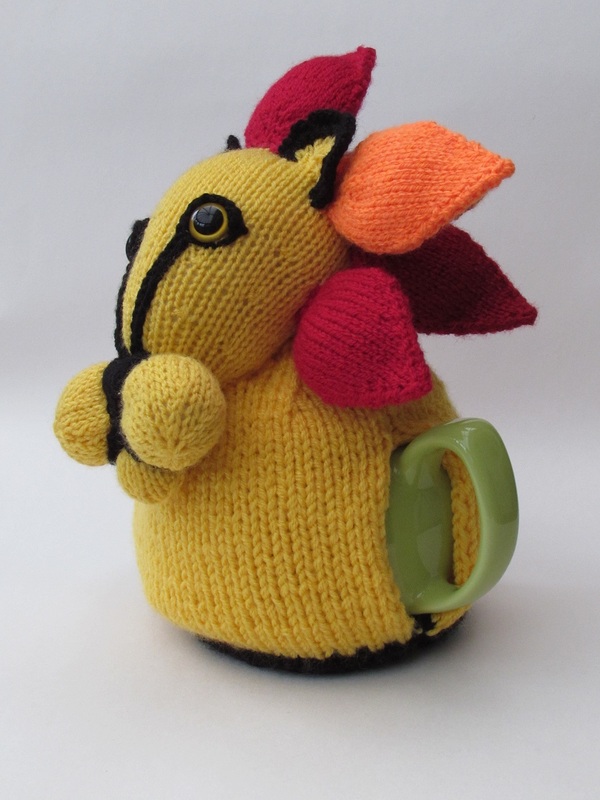 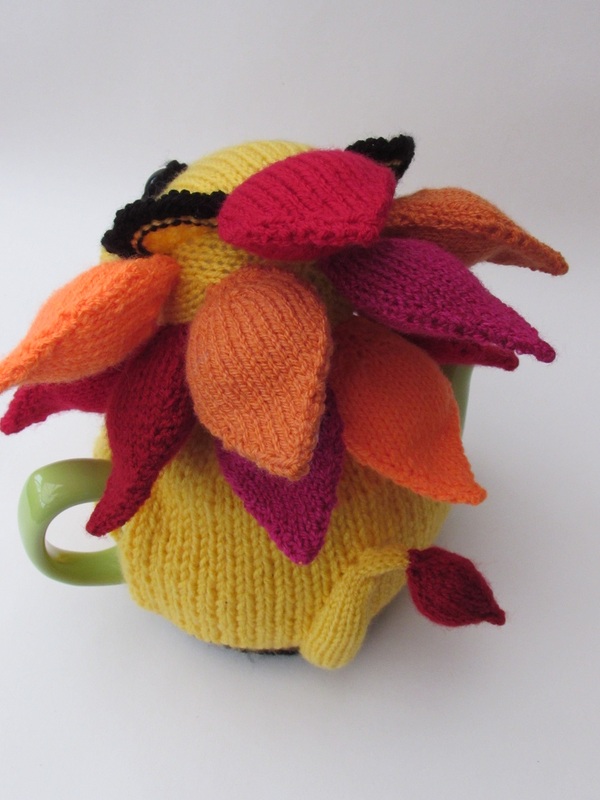 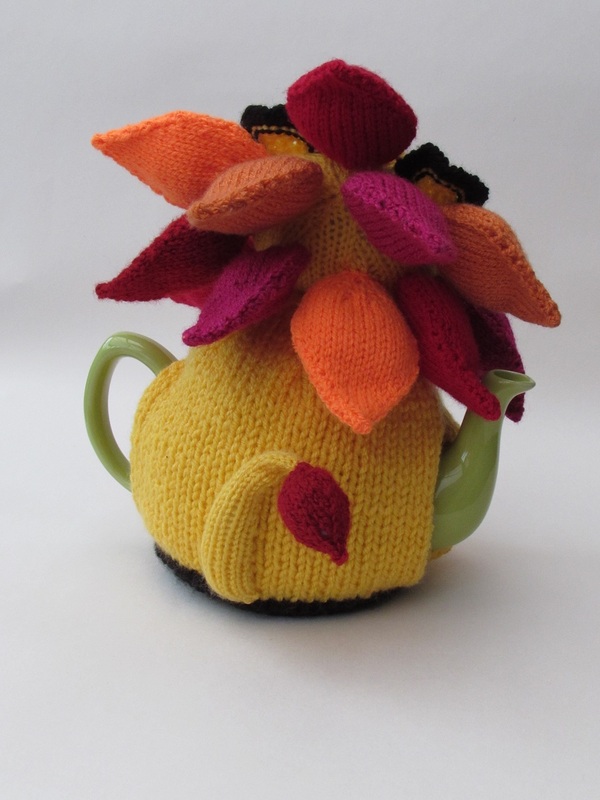 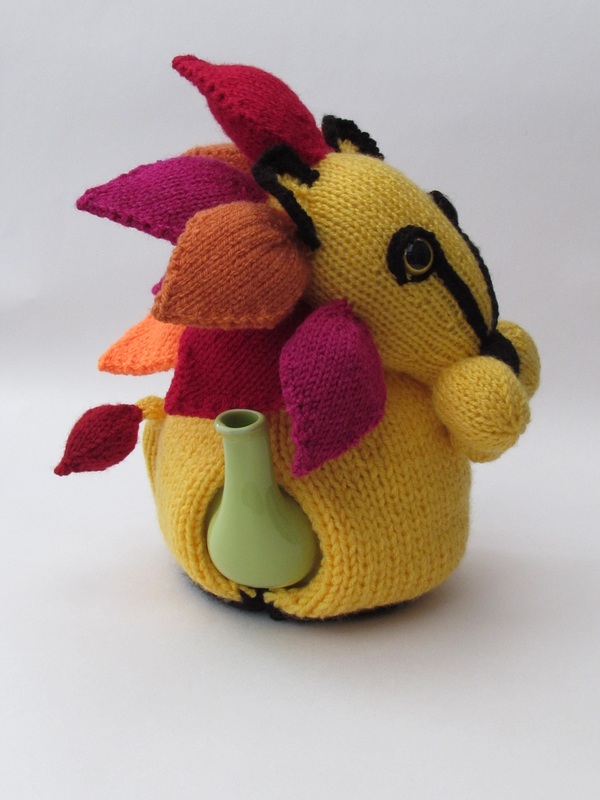 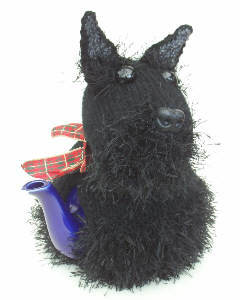 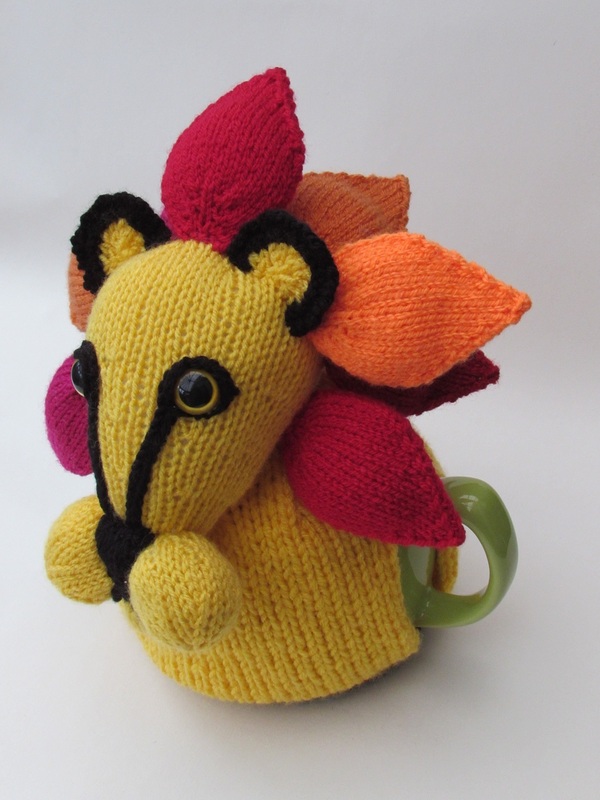 The lion tea cosy has a colourful main that looks like flames coming out from the head. 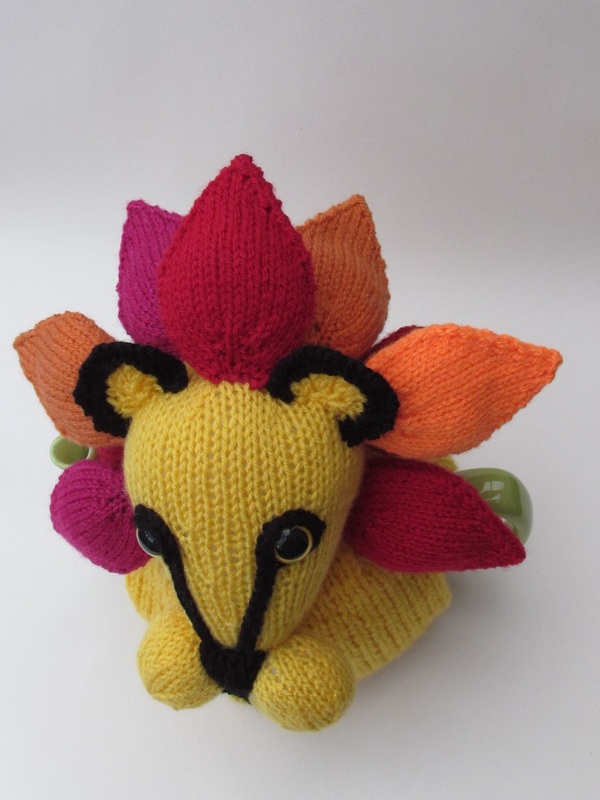 The eye are extenuated as too is the lions muzzle in 3 ball like parts. 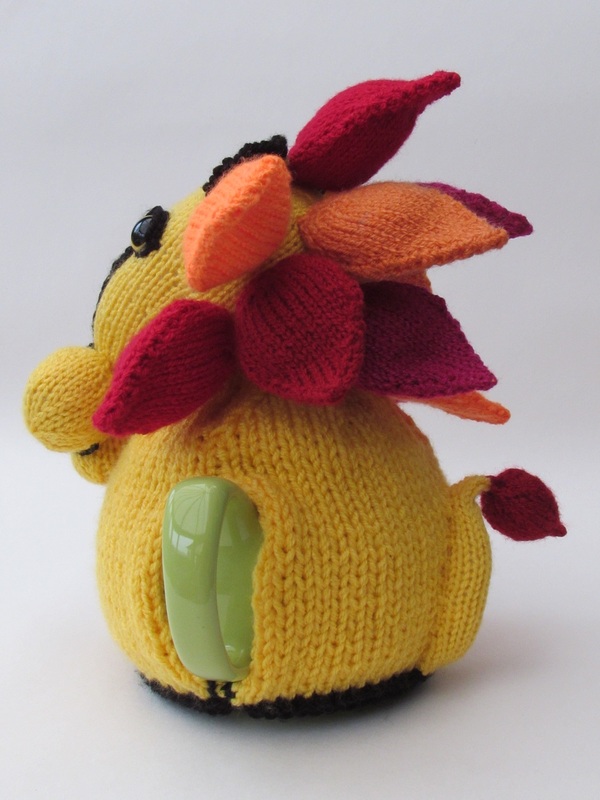 At the back the lion has a flame tipped tail. 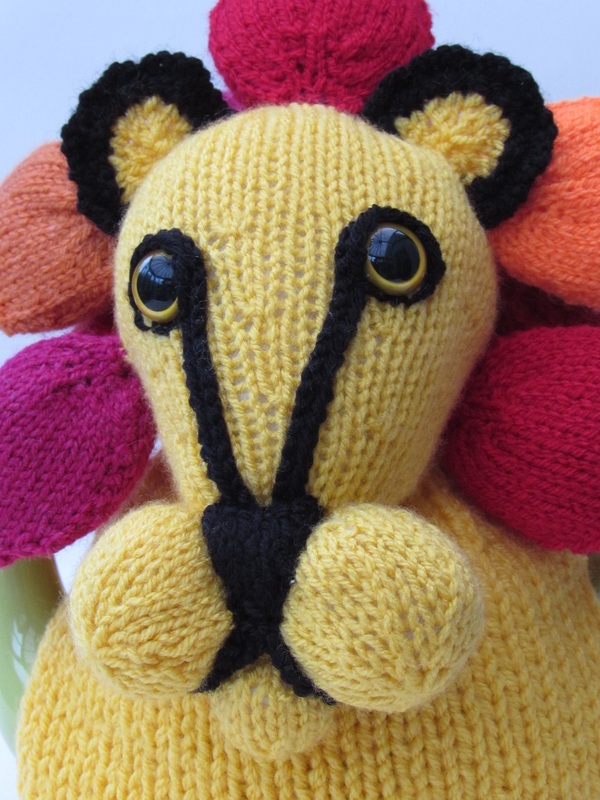 I wanted the finish of the lion to look as much as possible as the African art work that had inspired me. 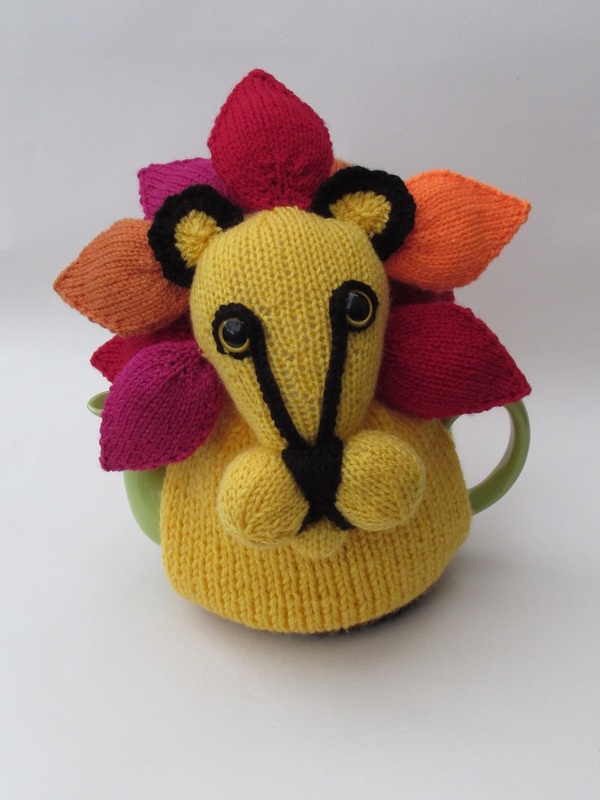 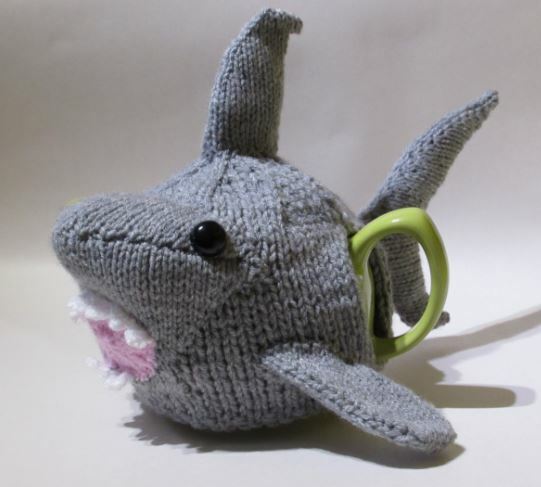 A lion tea cosy because tea is the main event.